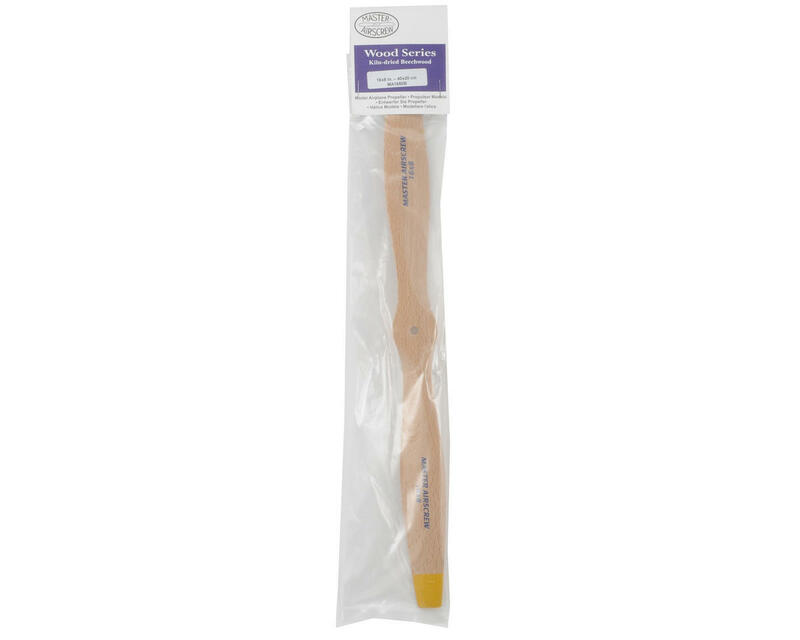 This is a Master Airscrew Beechwood 16"x8° Propeller. 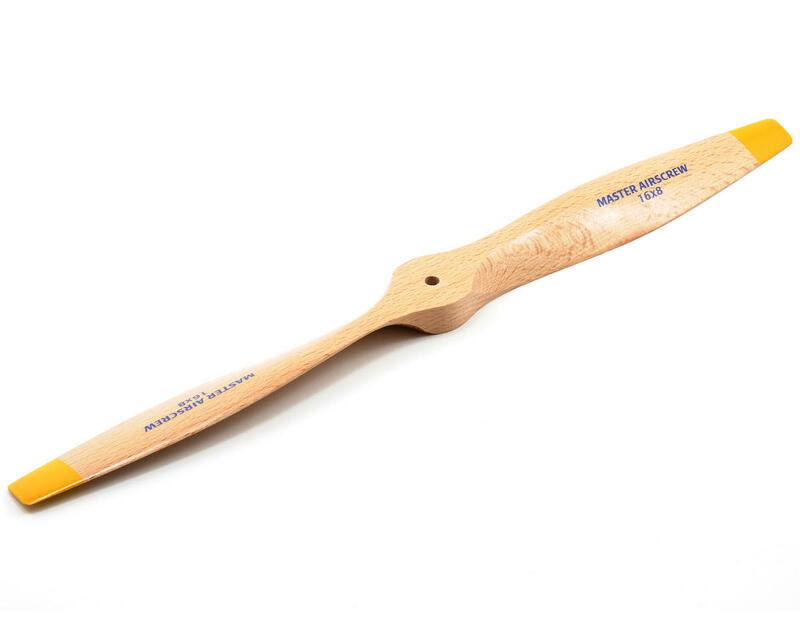 Master Airscrew propellers are made from lightweight, kiln-dried beechwood. Using the latest in engineering technology, these props are better balanced and make less noise compared to previous models and feature square tips with ample airfoil sections for sport and electric flying.